Inspired by Gospel values and in the tradition of Catherine McAuley, MIA is 'committed consciously to raising awareness and to working with others, to restore our relationship with Earth and to redress injustice affecting those most impoverished in Earth’s community' (Our Vision, Working Group on Cosmology & the Environment). 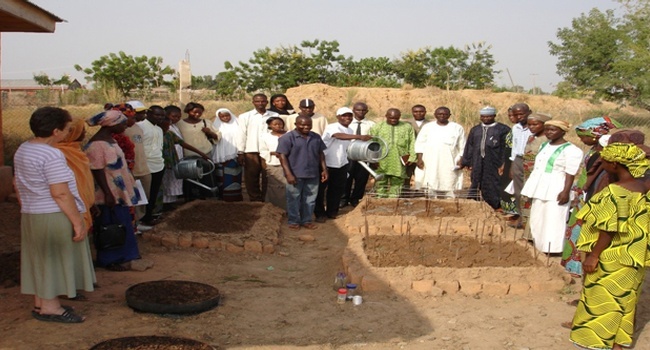 In this issue of Mercy E-news we draw readers' attention to the marvellous work of the Sabon Rayuwa Centre for Cosmology, Ecology and Culture in Yola, Adamawa State, Nigeria (The Congregation), as well as the project updates now on the website from members of the MIA Working Group on Cosmology and the Environment who met online in early June. Wednesday, 23 July 2014 marks the 20th anniversary to the day of the Opening of Mercy International Centre. Mercy E-news on 23 July will provide access to the video of the Opening of the Centre in 1994 as our Feature item. Join us for this first public screening online by clicking on the link that will be provided in Mercy E-news on 23 July. We invite you to send us a photo —if you gather with others to watch— and a short reflection/ response to publish in Mercy E-news on 30 July. As a Mercy community we pray with those in need of prayer. We especially pray this week with the intercession of Catherine McAuley for Judy Laffan whose name is newly added to our prayer list and for all those who have asked for prayers. Your prayers are asked for the safety of the people of Mosul, northern Iraq. In particular, prayers are requested for two Chaldean nuns from the Daughters of Mary Order, Sister Miskintah and Sister Utoor Joseph, as well as the 3 orphaned young people in their company: Hala Salim, Sarah Khoshaba and Aram Sabah, who are reported by Assyrian tv to have been missing in Mosul since 28 June. Reminder: Bookings for Attendance at the 20th Anniversary Celebrations at Baggot Street close 1 August. There has been a wonderful response to the invitation to be present at Baggot Street. Most of the events are now fully booked out but there are still places available for the celebrations on Mercy Day and for the Closing Day events. If you are planning to attend either or both of these celebrations at Baggot Street, please ensure that you fill in the Registration form (attached to this item) and return it to Baggot Street by 1 August. Editor: Two hundred and fifty people gathered in Dublin on 17-18 June for a seminar with Ilia Delio,OSF entitled To Explore a New Paradigm for Christian Living for Laity and Religious: An Evolutionary Approach. Mercy Sisters were among the attendees at this event organised by the Presentation Sisters. A report by Suzanne Ryder rsm on the seminar— including a video interview with Sr Ilia on the eve of the seminar (05:59) and a video clip of the introduction by Julie Watson PBVM of the Presentation CLT and responses from some of the participants— is linked to this item. Theresia Nakankwien rsm, a Sister of Mercy from Wewak on the north coast of Papua New Guinea recently spent time in Australia where she volunteered at the Edmund Rice Centre for Justice and Community Education in Sydney. One important focus of her experience there was climate change as part of the Pacific Calling Partnership which raises awareness of the impact of climate change on the lives of small islands in the Pacific and supports them in advocating for changes by developed nations in policies relating to climate change. Marymount Mercy Centre, a Spirituality Centre owned and operated by the Sisters of Mercy, Parramatta, in Castle Hill, a suburb of Sydney, NSW, Australia, provides a beautiful venue for its present purpose of sponsoring the New Life personal and spiritual renewal programmes, "Journeying with New Members" training program for Formators, a Conference Centre, and a Retreat location. In 2002 the Sisters of Mercy in the Nigerian Region, in collaboration with the Catholic Diocese of Yola, built a house in the village of Kofari, 8 kms from the city of Yola, where they offer a model of compassionate, earth-friendly and hospitable living, grounded in the bio-region. The peaceful setting of Sabon Rayuwa Centre provides ideal surroundings for reflection and study as well as the delivery of training programmes, workshops , information and advice on Ecology, Organic Farming, Poultry production, Fish Farming, Herbal Medicine, Creation Spirituality, sustainable ways of living and more. Nga mihi atawhai - greetings to all in Mercy! It’s Matariki once again, the Maori new year, signalled by the presence of the Pleiades star cluster in the pre-dawn sky. In Maori tradition, Matariki is a fallow time, a chance to let the soil recover as we make plans for another spring. It’s also a time to learn about whanau or family, to remember our whakapapa or family history, to sit around the winter fires and tell the stories that keep the memory of our past alive. A multiple camera 360 degree night-sky time-lapse (04:10). Marymount Mercy Centre is a Spirituality Centre owned and operated by the Sisters of Mercy, Parramatta, in Castle Hill, a suburb of Sydney, NSW, Australia. It is located about 35 kilometres to the north-west of the City Centre. Marymount itself has an extensive property set in heritage-protected bushland. It is an ideal location for renewal and sabbatical programmes. To fulfill the Mercy commitment to a more environmentally sustainable, spiritually fulfilling and socially just human presence on Earth, the Institute of the Americas Justice Team (IJT) launched this initiative to inspire behavioral, policy and guideline changes at the personal and institutional levels. Awakening the Dreamer, Changing the Dream, an international workshop developed by The Pachamama Alliance, sparked the development of Mercy Taking Action.